304L of medical material is steel. 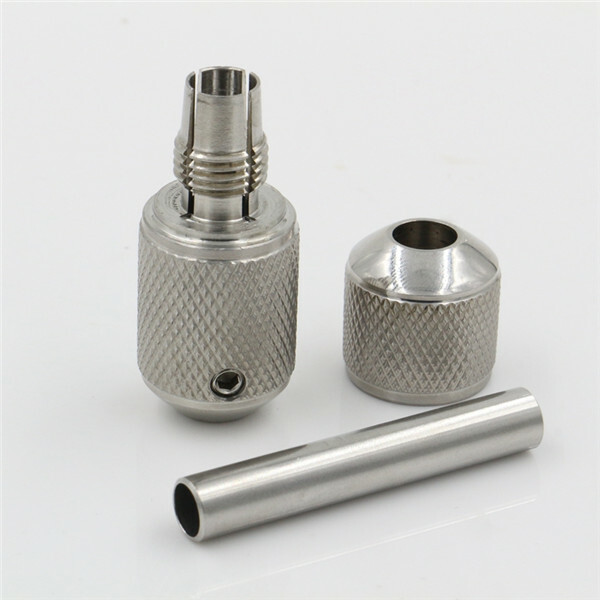 Auto lock hand tightening stainless steel tattoo grip, tightens your steel tattoo tips by simply turning the top half of your grip. It is 1 less Hex Screw you have to tighten. Top quality grip at an affordable price.